UPDATE: SOLD! 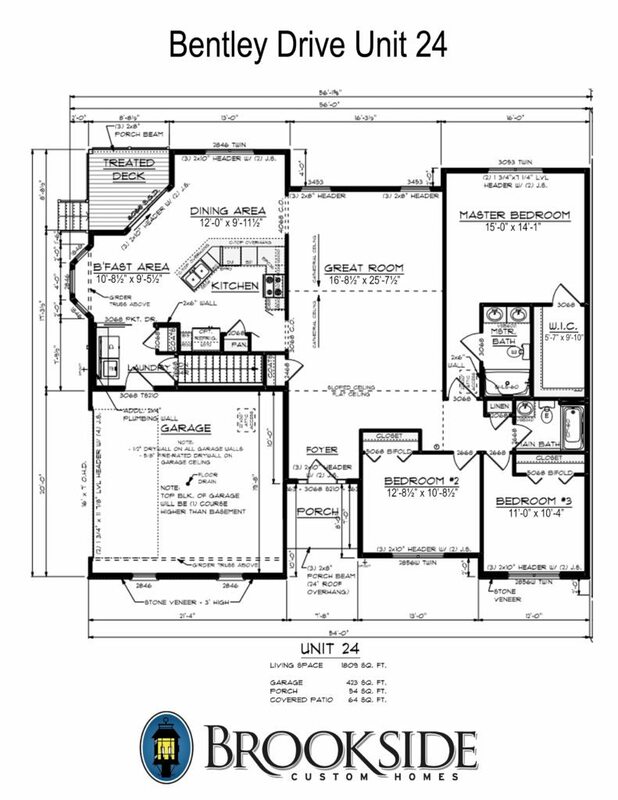 We are currently in the process of designing new townhomes. 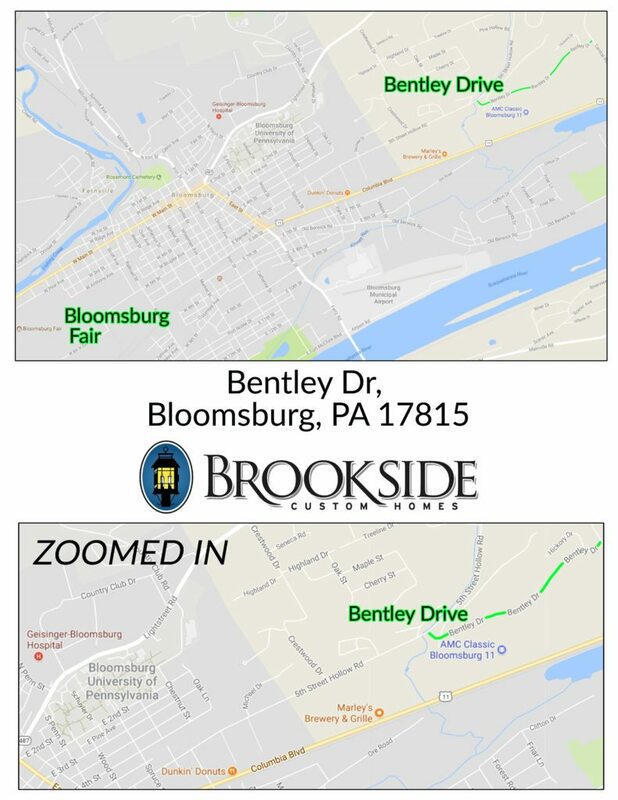 Contact us at 570-374-7900 to learn more! Hint of a country setting and close to everything! 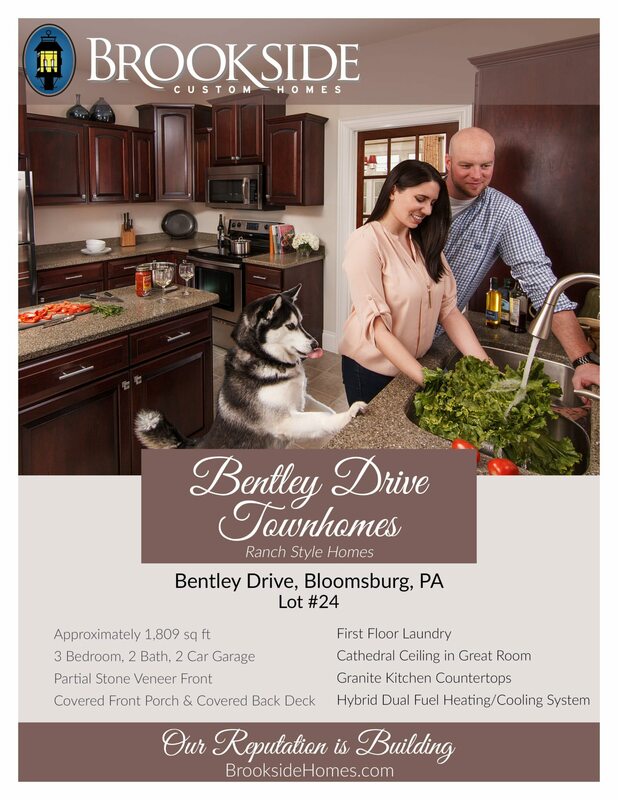 We currently have Townhomes for Sale on Bentley Drive, just minutes from downtown Bloomsburg. Two-car attached garage – One 16’ x 7’ overhead door. Garage drywalled and painted (no trim). Full conditioned basement (Superior XI Plus® Basement Walls – R21.3 insulated). -Conditioned means warmer & drier! Raised overhead cabinets (3 cabinets are 42” height). Open kitchen, breakfast, dining area. Engineered hardwood floor, Quality laminate or Luxury Vinyl Tile or Plank in foyer, kitchen, and dining area. Contact us today to learn more about our Townhomes!